In the pantheon of boardgame designers, Uwe Rosenberg’s right up there with the very best. CHENNAI : In the pantheon of boardgame designers, Uwe Rosenberg’s right up there with the very best. 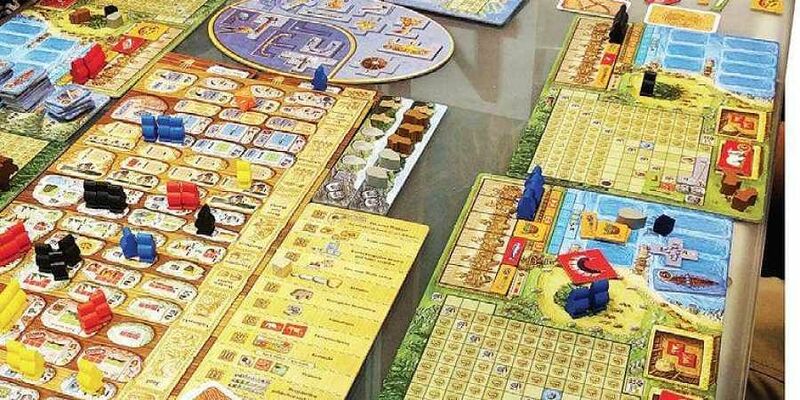 He’s created a number of all-time greats and he’s got a certain range — from Agricola, the classic worker-placement Euro, to Patchwork, the two-player Tetris simulator, to Bohnanza, the large group game about bean farming, trading, and yelling at each other. Today, let’s look at Rosenberg’s 2016 release — A Feast for Odin. As first impressions go, A Feast for Odin looks about as imposing as a Viking longship. It’s a massive box filled with a million components (so many that they actually include two sorting trays!) and it’s quite a daunting prospect overall. The heart of AFFO, as with any game of its ilk, is the central board where players must assign their workers in order to carry out various actions. That board alone is enough to give you palpitations — with more than 60 spaces that you could potentially assign your workers to, the weight of all those options is enough to overload anyone’s brain, right? Well, initially, yes; but dig a little deeper and you’ll start to see the cleverness of the design. For example, the board is divided into columns which require different numbers of workers — you can build a whaling boat with a single worker, but a longship requires the attention of three workers. It’s a simple distinction, but it gives you so much to think about. Another standout feature lies on the player boards that everyone has in front of them. Each player has a storehouse in which they can place their accumulated goods and plunder. Different goods have different shapes, so you’ll have to Tetris them together to figure out your optimal layout. You can only place higher-level goods into your storehouse, however, so you want to upgrade all the lower-level ones, right? Do that, though, and you’ll wind up being unable to feed your workers — jewellery and coats are all very well, but you can’t eat those! Also, the upper-right sections of the storehouse will cost you points at the end of the game if you don’t manage to fill those spaces in, so you might want to start with those; but doing so will rob you of the chance of gaining some income and bonuses by building up from the lower-left corner. Like everything else in this game, it’s a delightful push-and-pull that you’ve somehow got to balance and stay on top of. In many ways, A Feast for Odin feels like a ‘greatest hits’ of Uwe Rosenberg. Like Agricola, you’ve got Occupation cards which can provide combos and help direct you towards a particular strategy. It shares the puzzle-piece nature of Patchwork, which isn’t surprising because the latter was actually inspired by this game (even though it wound up releasing first). It does add dice-rolling, which is a first for a Rosenberg of this type, but it offers enough mitigation that you’ll rarely feel hard done by. Overall, as long as you know what you’re getting into ­— this is not a short game, nor is it one you can play with anyone — A Feast for Odin is simply a masterpiece.